Directions: This is around 15 minutes drive towards south from the city of Pokhara. At about 2 kms from the Devi's Falls on the Pokhara-Syangja Highway, you take an exit on your right and drive uphill. 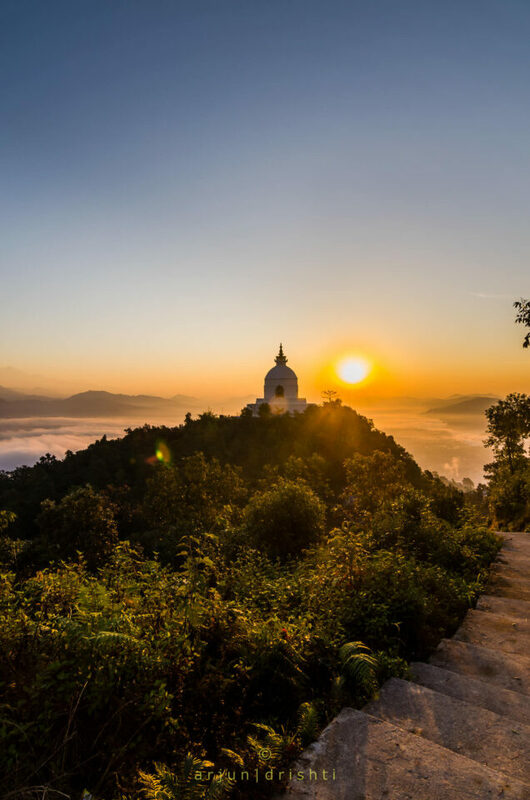 From the parking lot you do a hike of 5 minutes and you are there in the premise of the Stupa. Alternately you can drive further west and get past the Stupa to shoot sunrise with the Stupa in the foreground. 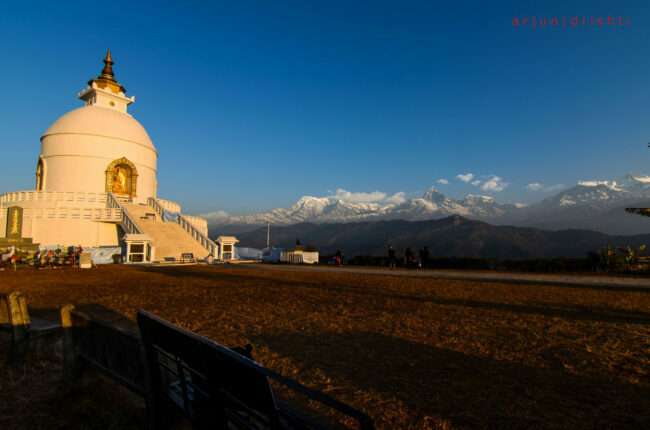 The Pagoda (Stupa) is located atop a hill just above the famous Phewa Lake overlooking the city of Pokhara and giving a mesmerizing view of Annapurna Mountain range and Mt. Fishtail. The best time to shoot would be around the dawn and sunrise. You may like to carry your tripod and a wide angle lens. However a good zoom lens could also be your choice if you like to shoot the mountain range up-close. However please note that you are not allowed to use tripod on the floors of the stupa.